If awards are indications of anything, then Singapore comics seem to be going places. 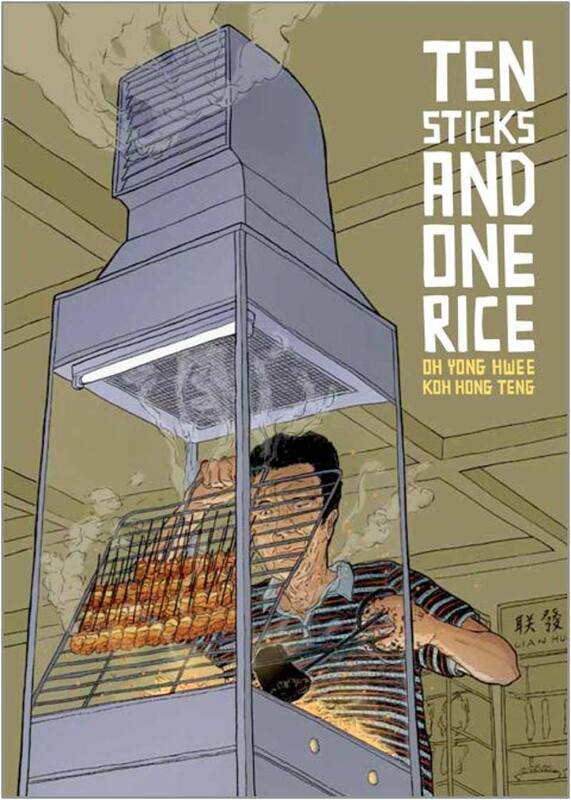 In February 2014, Ten Sticks and One Rice, written by Oh Yong Hwee and drawn by Koh Hong Teng, won an International Manga Award (Bronze). Initiated by the Japanese Ministry of Foreign Affairs, the International Manga Award was established to honour manga artists who contribute to the promotion of manga overseas. The 7th International Manga Award received 256 entries from 53 countries. Ten Sticks and One Rice is the only Singaporean winner. 1 This means Epigram Comics, the publisher of the comic, is on a roll. 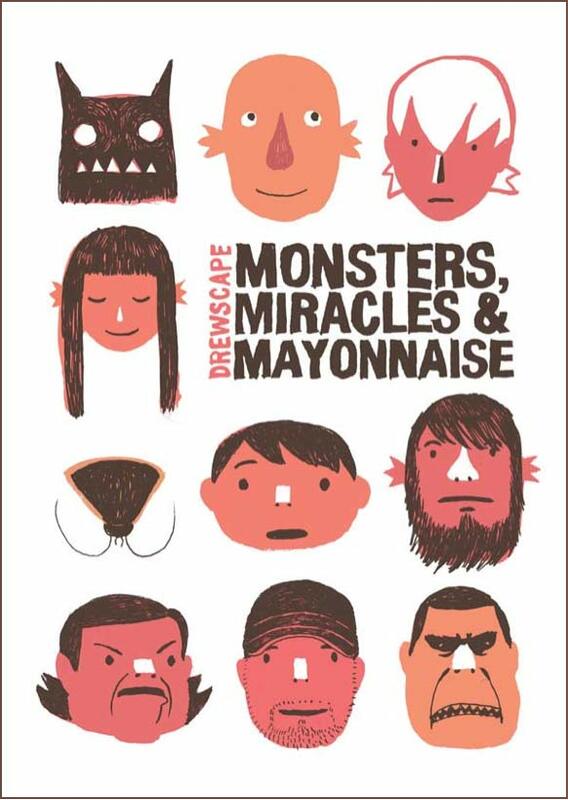 In 2013, another book it published, Monsters, Miracle and Mayonnaise by Andrew Tan (drewscape), had a short story nominated for the Eisner Award for Best Short Story. It did not win. The reality of comic book publishing in Singapore is that winning or getting nominated for awards does not equate to the sales figures needed for one to survive as a full time artist. Despite its critical acclaim, out of the 1000 copies of Ten Sticks and One Rice printed, only about 650 were sold (Nanda, 2014). Koh tried to do comics full time but given the meager sales, had to supplement his income with freelance work and part time teaching in an art school. On the other hand, Oh owns a web design company that allows him to write as a hobby. As for Monsters, Miracle and Mayonnaise, its 1000 print run was sold out and it had gone into second printing. Tan is a rather in-demand freelance artist who does comics on the side. The history of comics in Singapore is characterized by creators who do not depend on drawing comics for a living. The prime example of this is Eric Khoo’s Unfortunate Lives: Urban Stories and Uncertain Tales, the first graphic novel of short stories in Singapore published in 1989 (Lim, 2013). Khoo comes from a wealthy family and has gone on to be an award winning film director. This element of not being able to make one’s living drawing comics has given rise to an interesting phenomenon in Singapore comics. Most creators chose to tell their own stories instead of pandering to public taste or to be dictated by commercial considerations. The assumption is that even if they do ‘mainstream’ work, they would not be economically viable given the small market size in Singapore. As an artist explained, “A more unique problem is that Singapore is a small island with a diverse population. Local artists therefore would face an uphill battle of finding stories and characters that could appeal to enough of the local diverse population to sell.” There are exceptions to this, which I will return to later. Taking the example of Ten Sticks and One Rice, it is a story of a street hawker trying to make sense of a changing Singapore he is living in. It is an autobiographical tale based on the lives of the creators’ hawker parents. One could argue that the autobiographical genre is one of the mainstream trends in Singapore comics. This is unlike in USA, where the autobiographical genre is alternative (Hatfield, 2005). The major autobiographical work in Singapore comics in recent times is Troy Chin’s five-volume The Resident Tourist. 2 A paean to a girl he is in love with, The Resident Tourist is Chin’s story of returning to Singapore after burning out as a music executive in New York. It rambles through his childhood and current friendships. I made an appearance in the comic as well as Chin taps on present events. For his effort and putting his heart out on the line, Chin was given the Singapore National Arts Council (NAC) Young Artist Award in 2011. This abandonment of the ‘mainstream’ for the personal is made possible with funding from the NAC and the Media Development Authority of Singapore (MDA). Koh, Chin and others have been recipients of these funding bodies. These help to array publishing cost, as the tab of printing the books is partly covered by the grants from NAC and MDA. In that sense, the books paid for themselves. This could have a negative impact of de-incentivising publishers from promoting the books, which could be costly affairs. This explains the magic number of a 1000 print run. Although bigger print runs lower the cost and improve profitability, inventory cost is a worry as Singapore does not have a critical mass. This is ironic as Singapore’s economic success is due to its small size and ability to turn things around quickly in terms of policies and population compliance. But it does not have a large enough consumer market for its own music, books and comics. 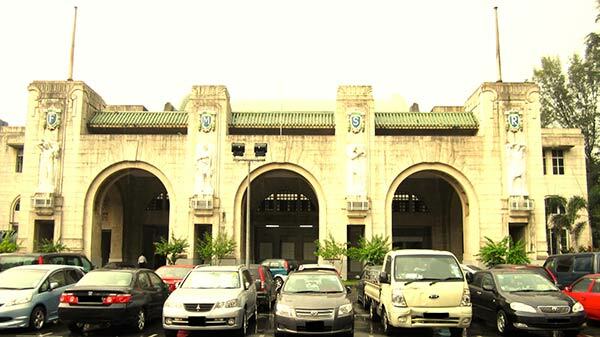 Singapore’s art deco Tanjong Pagar Railway Station, closed in 2011, is the starting point of Koh’s new comic that ties the writer’s personal history with his country’s economic development. There are two consequences from this development. One, more ‘artistic’ works are being produced as artists do not think about the sales of the books. With a small print run of 1000, artists would not be able to survive by just drawing comics. To give an example, the Epigram books sell at S$18.90 per copy. Even if all 1000 copies sell out, the royalties for the artists would be much less than S$18,900 after deducting the production costs, and the margins to the booksellers and distributors. Each comic could take four months to half a year to produce. It is not possible to live on creating comics alone. With this in mind, most artists in Singapore do not do so, which explains their attitude to storytelling. 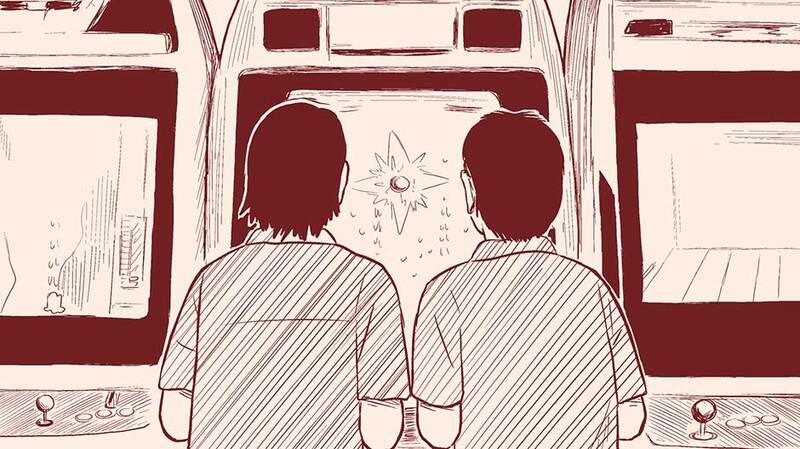 Koh’s new comic, which he spent more than a year writing and drawing, is about the last train that travelled from the now-defunct Tanjong Pagar Railway Station in Singapore. It is his magnum opus that ties personal history with the economic development of the country. As a history teacher, I like it a lot. But I am not sure of its appeal to the public. After this, Koh will work with Oh again on a story of a rambutan orchard, based on an academic article about art history. Both projects are funded by the NAC, whose purpose is to support local arts. But such a funding strategy might not help the artists to win new fans. This leads us to the second consequence of this development. Most writers and artists are hobbyists in that sense. They have full time jobs, which allow them to create comics when they are free. While this has given rise to the more personal stories being told and the interesting phenomenon of the autobiographical genre being mainstream, this does not encourage the comic industry to develop in terms of professionalization. It can be a Catch-22 situation whereby the depth and the kind of stories told are limited by the time creators have to work on their comics. The exceptions are those who put aside financial considerations to work on their comics full time like Koh and Chin. 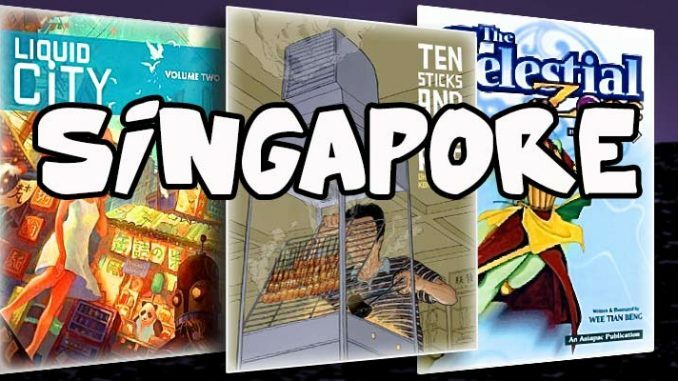 Recent interviews I did with 10 comic creators in Singapore show that there is no consensus on what they think the Singaporean readers want in terms of comics. The answers I got ranged from the very general “a good story coupled with excellent art” to humour and local issues. A few focused on the form, that Singaporean readers are more interested in the manga style and content with cross media appeal. The problem as one of them pointed out is the lack of market research in finding out what the readers want. To elaborate: “Most comics are the artists or writers’ personal vehicle of expression. Not really aimed at consumers. No marketing plan. No cooperation in the community, no strategy, lack of proper structure. Lack of leadership.” There is no meeting with the audience half way in terms of what they would like to read in a Singapore comic. (One artist: “I have no idea what they want. I only know what I want.”) This has led to a rather negative mindset among comic readers of thinking Singapore comics are not very good or interesting. When asked if they have read any, the answer is usually no. This explains why more personal stories are being told when political venues of expression are shut down. Artists seek safer alternatives. Given Singapore’s emphasis on education, educational comics is the other mainstream genre in Singapore. Sir Fong’s Adventures in Science series by Otto Fong has four volumes out so far, gone into reprints and has sold more than 10,000 copies in total. Singapore parents are willing to spend a lot of money on providing tuition and buying assessment books for their children to do well in school. Some of these get trickle down to educational comics. Fong gives school talks to promote his books, which are based on the science curriculum in Singapore. Wee, Liew and Fong are among the few examples of comic artists who make a decent living from doing comics in Singapore. Many others like those published by the Association of Comic Artists (Singapore) (ACAS) are doing this as a hobby during their free time. The ACAS books are similarly funded by the NAC. Comics seem to be caught in a common arts syndrome in Singapore, that winning or being nominated for awards is a sign of validation more important than readership or sales. There are clear advantages of being an award-winning artist as Singapore. One gets more funding for travelling, conferences and even scholarships. The next book would probably pay for itself, which means the publishers are happy and the arts council has fulfilled its mandate of support the arts with its funding. But this situation does not bode well for the industry in the long run or for the medium in terms of telling stories that is commercially viable and connecting with a larger audience. 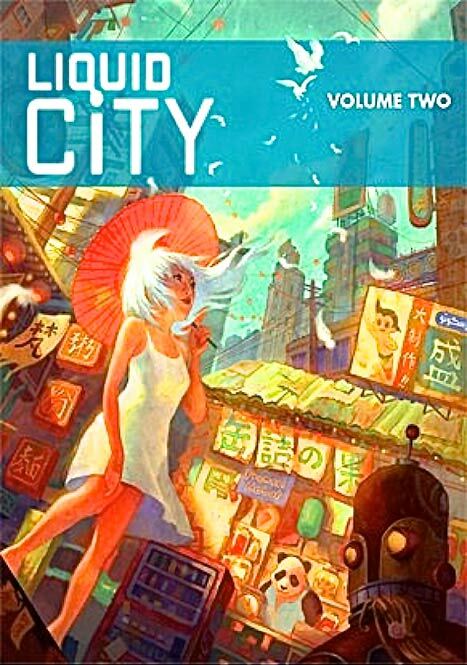 The book I co-edited, Liquid City Volume 2 (Image Comics, 2010), an anthology of Southeast Asian comics, was nominated for best anthology at the 2011 Eisner Awards. Needless to say, it did not win and I am still holding on to my day job. Chin, Troy. The Resident Tourist. 5 vols. (Singapore: Self-published, 2008-2011). Fong, Otto. Sir Fong’s Adventures in Science. 4 vols. (Singapore: Ottonium Comics, 2008-2012). Hatfield, Charles. Alternative Comics: An Emerging Literature. (Jackson: University Press of Mississippi, 2005). Liew, Sonny, and Cheng Tju Lim, eds. Liquid City Volume 2. Vol. 2. (Berkeley, CA: Image Comics, 2010). Lim, Cheng Tju. “Singapore Political Cartooning.” Southeast Asian Journal of Social Science 25.1 (1997): 125-50. _____”The Early Comics of Eric Khoo.” S/Pores: New Directions In Singapore Studies.11 (2012). Nanda, Akshita. “Local Comic Book Wins Manga Award.” The Straits Times (2014). Oh, Yong Hwee, and Hong Teng Koh. Ten Sticks and One Rice. (Singapore: Epigram Books, 2012). Tan, Andrew (drewscape). Monsters, Miracles and Mayonnaise. (Singapore: Epigram Books, 2012). Wee, Tian Beng. 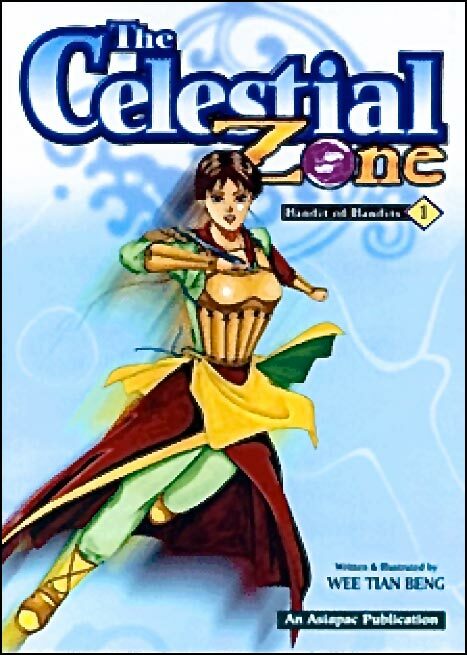 The Celestial Zone. (Singapore: TCZ Studio, 1999). Wong, Chun Han. “Singapore Cartoonist Apologizes for Court Lampoon.” The Wall Street Journal (2013).